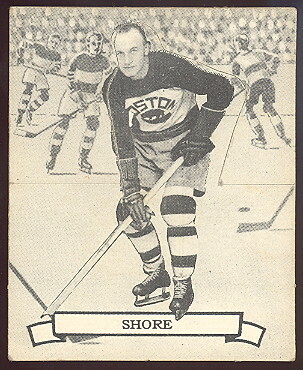 eddie shore, This "D" series of the OPC cards is the fourth year they were issued and are die cuts so they can be folded to stand up. 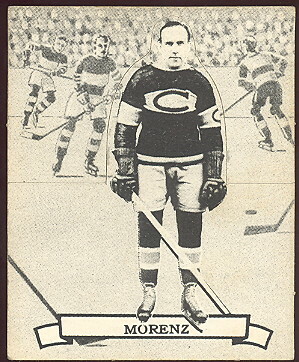 It is rare to find these with the background still attached. 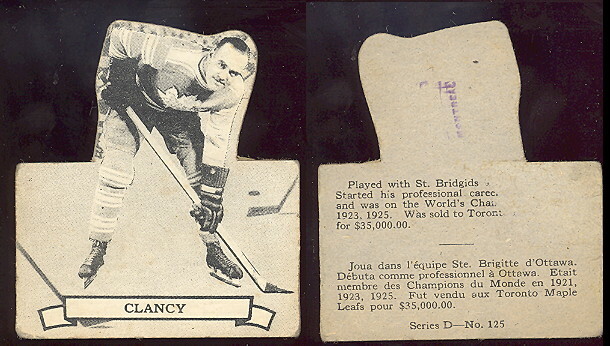 The cards measure 2-3/8" X 2-15/16" and the backs have the card number and a bio in French and English. 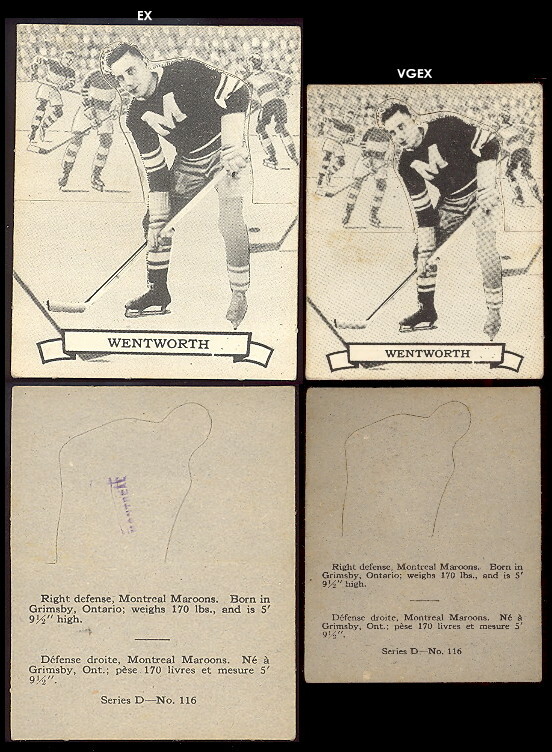 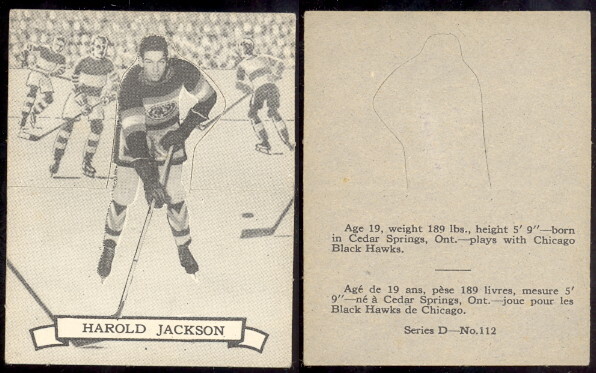 Most of the cards we picked up in this set still have the backs and are in very nice condition, a few having a small stamp on the back that says "montreal".